Hitachi Rail is launching a brand new educational programme with Primary Engineer that will see 2,700 5 to 11-year-olds learn about engineering with the help of experts in the field. The announcement comes during Rail Week (8-14 Oct) and the initiative is part of the Year of Engineering campaign. It aims to help tackle a serious shortage of engineers in the UK. On current projections, there will be a gap of 55,000 engineers and skilled workers by 2020, according to the Strategic Transport Apprenticeship Taskforce, with not enough qualified people to deliver key national projects like HS2, Heathrow expansion and Crossrail 2. Teachers in the first four locations are already receiving their training and this will be followed by a further session at Hitachi’s train manufacturing facility in Newton Aycliffe, County Durham, where new fleets of trains are being delivered for passengers across the country. There is also a competitive element to spark the children’s engineering ingenuity and creativity. And as a forum to celebrate their engineering skills and achievements, teams of pupils from the schools will attend two celebration events in 2019 run by Primary Engineer to test the rail vehicles and showcase their efforts with the Hitachi Rail engineer judges. Year of Engineering Minister, Nusrat Ghani, said: “The Year of Engineering is a chance to show young people that engineering is all around us – from how we keep in touch to the ways we travel. 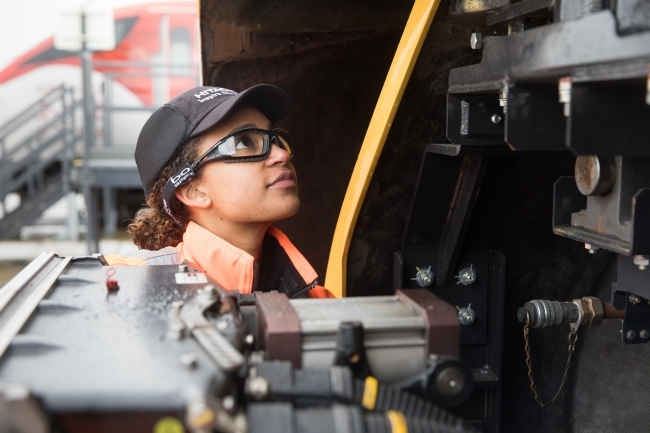 Working in partnership with industry and the education and charity sectors to inspire young people from all backgrounds is at the heart of the campaign, and this new programme from Hitachi Rail and Primary Engineer is a fantastic demonstration of what that can achieve. Hitachi Rail Managing Director, Karen Boswell, added: “We are absolutely committed to developing UK skills in order to grow our business and support the Government’s Industrial Strategy.